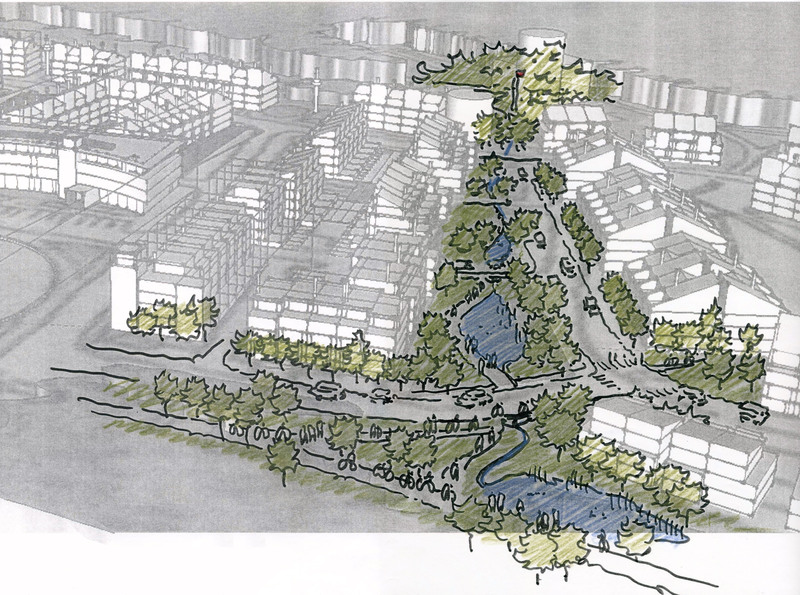 #collingwoodontario #masterplanning #smartgrowthontario #howardrideoutarchitect #simcoecountydesign #simcoecountynews #georgianbayontario | Howard Rideout Architect Inc.
Can we ensure our existing cities and towns are contained, livable and exciting? Can we maintain the productivity of some of the best agricultural land in Canada? 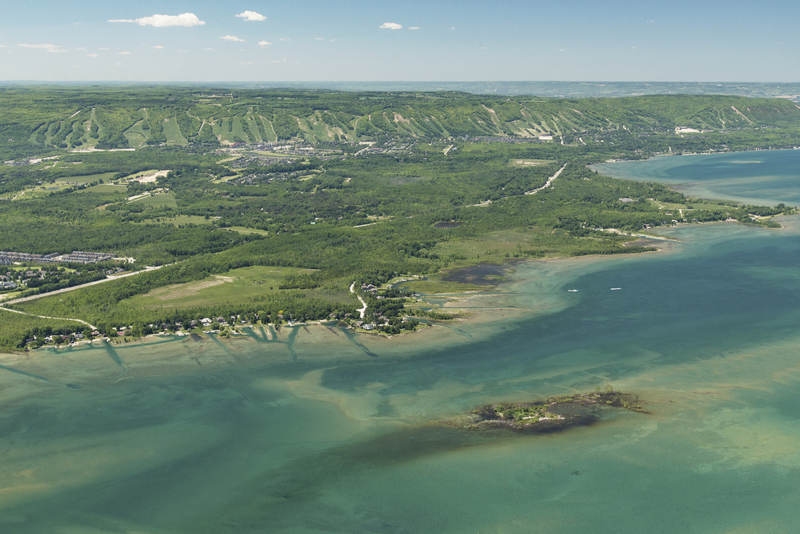 Can we protect the watershed that supports Canada’s largest city? Can we ensure the remaining natural areas are healthy and interconnected? Can we ensure that everyone can enjoy Ontario’s cottage county? 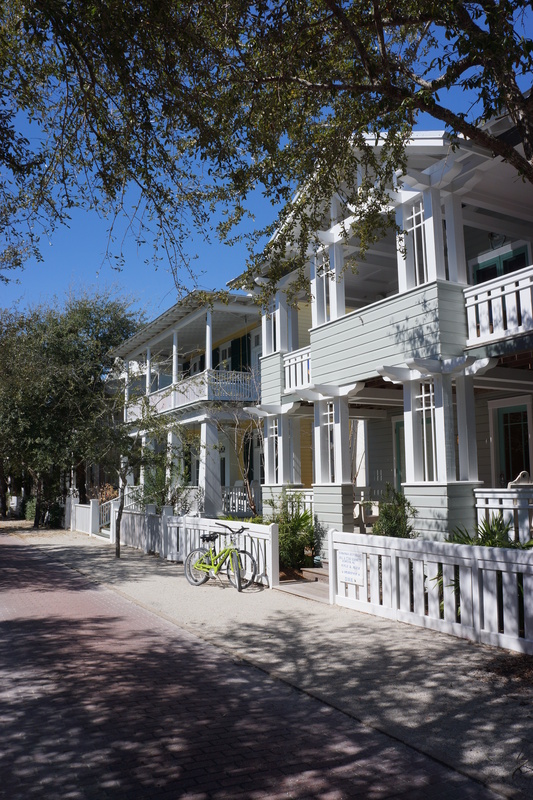 In December 2015, I was returning from Florida, having concluded a research tour of Seaside and other New Urbanist communities (refer to previous blog post). I visited these places to look for inspiration for the lake-side town my firm had been commissioned to design. 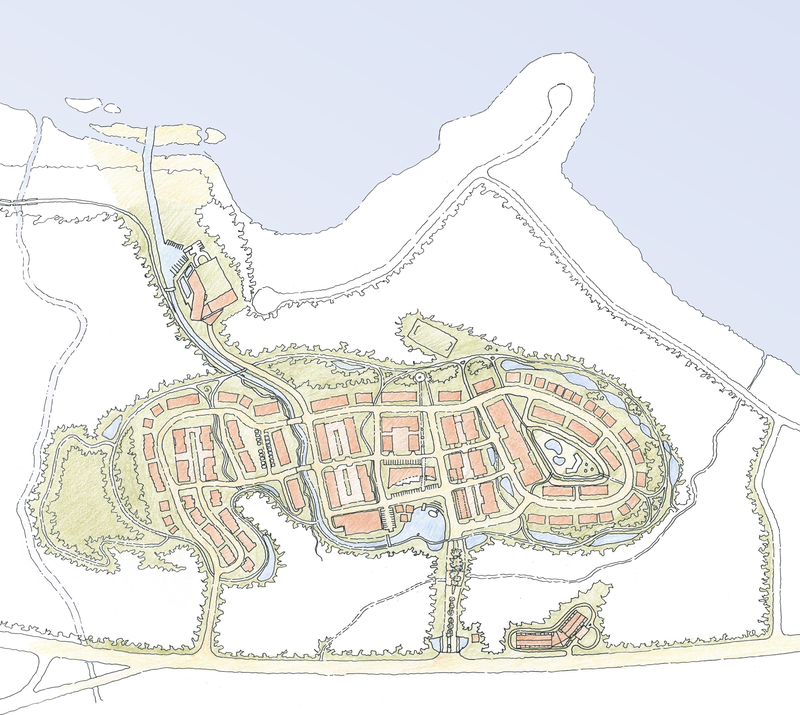 The location of the community, recently named “Bridgewater”, will be built on one of the largest remaining parcels of Georgian Bay waterfront, approximately 130 km north of Toronto near the town of Collingwood. 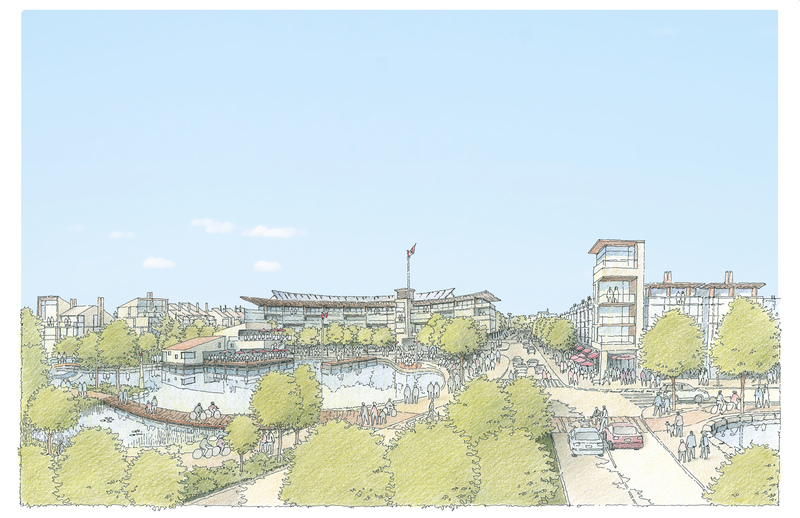 As my team proceeds with the design development of the master plan for Bridgewater we are aware of the unique opportunity we have been given. Within this period of re-evaluation of existing planning ideals we have had to respond to a new framework for how cities and towns are accommodating future growth within Ontario. 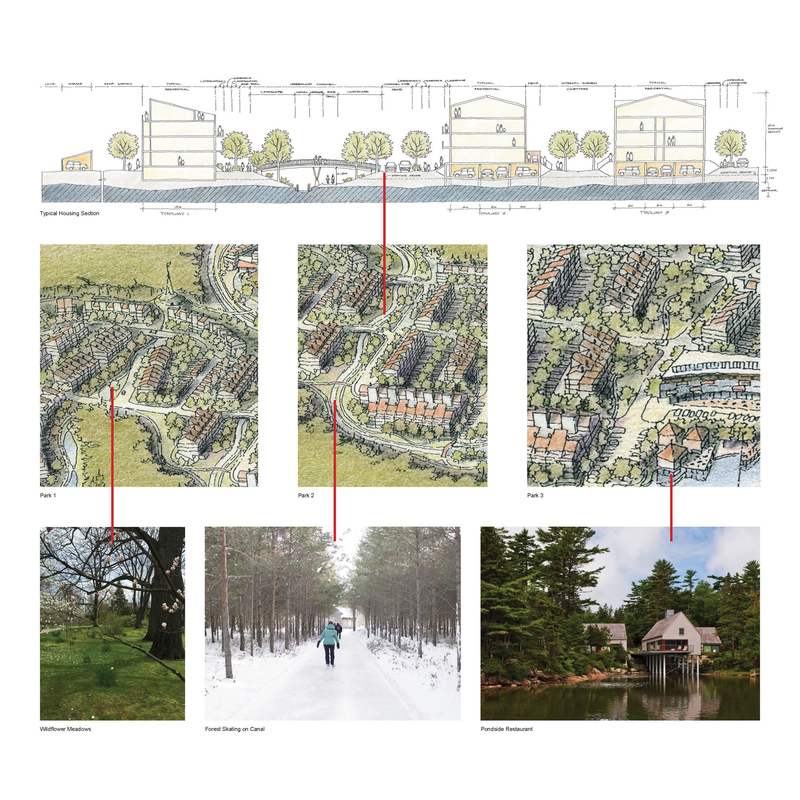 From the outset of our design an important goal was to respond, in built form, to the “Smart Growth” mandate of the government of Ontario, which promotes building intensively within and around existing communities. A recent article in the Toronto Star delves into the thinking behind this new initiative. After almost 50 years of unrestrained development (between the early 1950’s and the late 1990’s) the city of Toronto had grown to encompass 7,000 square kilometers. During these decades of rapid expansion, the suburbs of the city consumed some of Canada’s best “A-class” agricultural lands with low density urban sprawl. Toronto transformed from a provincial capital into a Global City. As a result of this new exposure and prosperity, the most recent growth projections for the Greater Toronto Area (GTA) are staggering, with some estimates suggesting the city could welcome as many as three million more people over the next 25 years. With the areas surrounding the GTA experiencing unprecedented pressure to accommodate this urban expansion, the government has developed a plan to manage the growth within these areas to ensure that future development does not encroach upon the remaining green spaces. 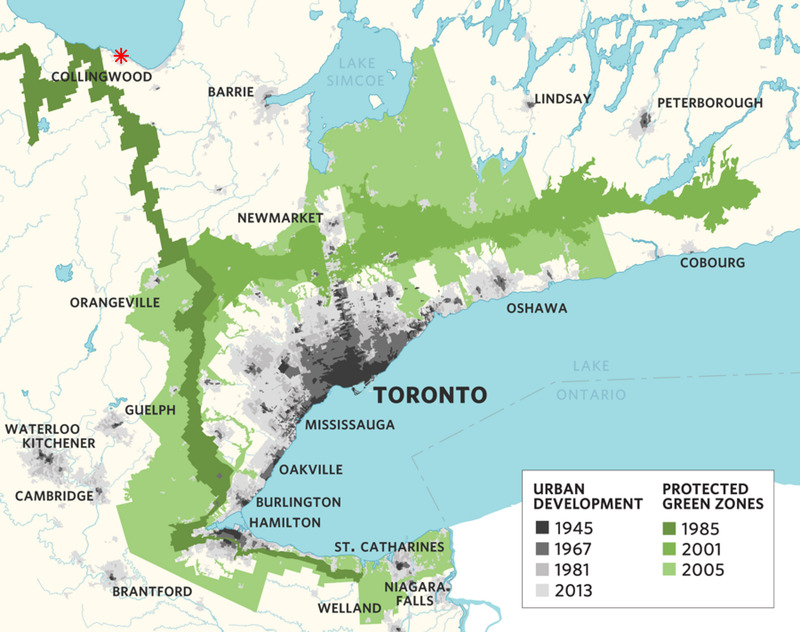 While the growth of the region has been restrained by the protected green zones (refer to map above), development is now “leapfrogging” over the Oak Ridges Moraine (one of Ontario’s most vulnerable natural regions – protected in 2001) and is exerting development pressure on the towns and cities as far away as Collingwood, 150 km from Toronto’s core. The city of Collingwood (pop. 21,000) has seen its economic fortunes change with the evolving economy, as the initial economic engines of forestry and agriculture have been replaced with tourism and service industries. 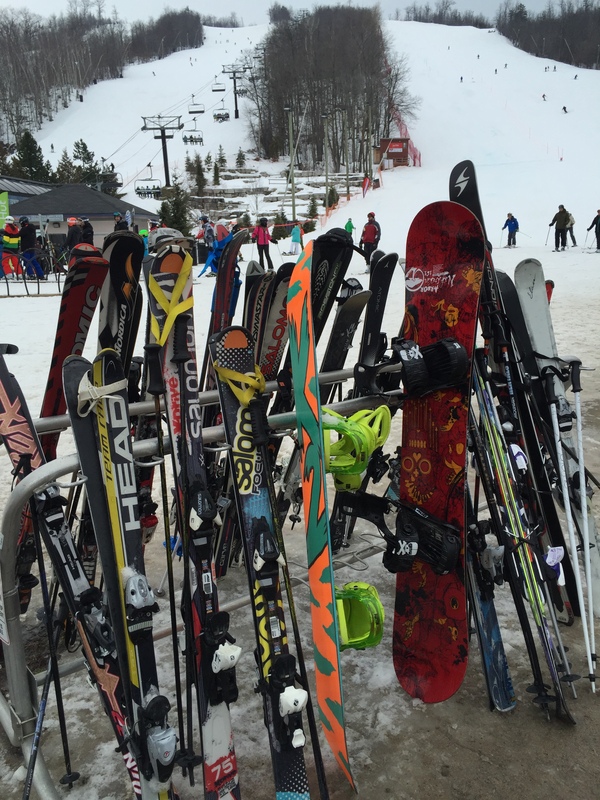 Blue Mountain Ski Resort as well as other resorts located near the town, have created a demand for weekend retreats and retirement living for Torontonians. North/west of the historic core of Collingwood, the new waterfront town of Bridgewater was envisioned by my team, to accommodate those for whom cottage ownership had been previously unattainable. Like many lakes in Ontario’s cottage country, the shoreline of Georgian Bay, was subdivided into cottage lots which have been passed down for generations. With Toronto’s substantial population growth, new Canadians who have recently settled in the city (since the lake front sites were subdivided), have essentially been locked out of owning these much sought after properties. Along with this waterfront development there has been extensive environmental degradation to the rare ecosystems that are unique to this region. More significantly, the remaining undeveloped areas of shoreline represents, in many cases, the last remnants of these unique landscapes. 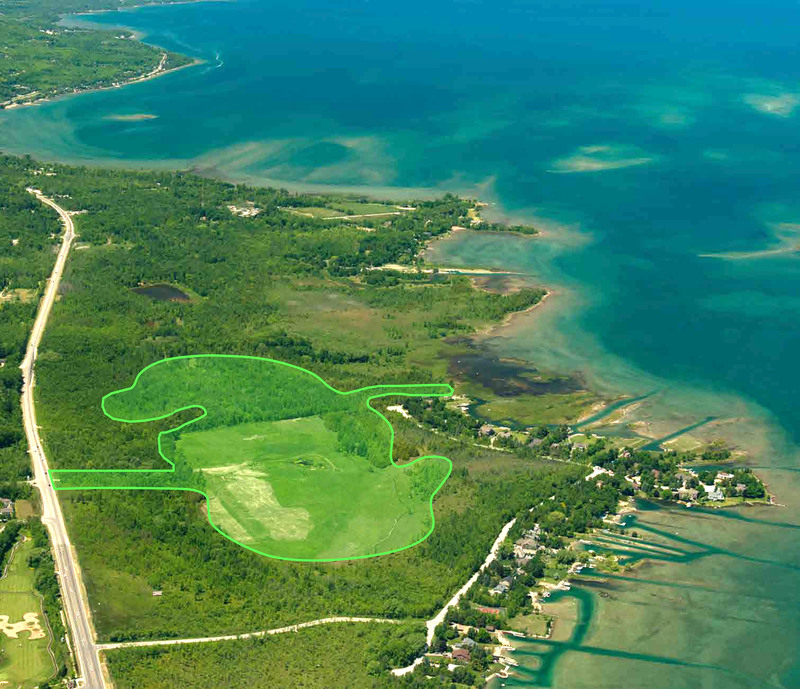 The challenge my team faced, was to preserve as much of the existing natural habitat as possible on the 350 acre site, while providing the 1,200 residents of this community access to Georgian Bay. As we developed the master plan, we purposely conducted site visits throughout the year to experience the changes brought upon by each season. 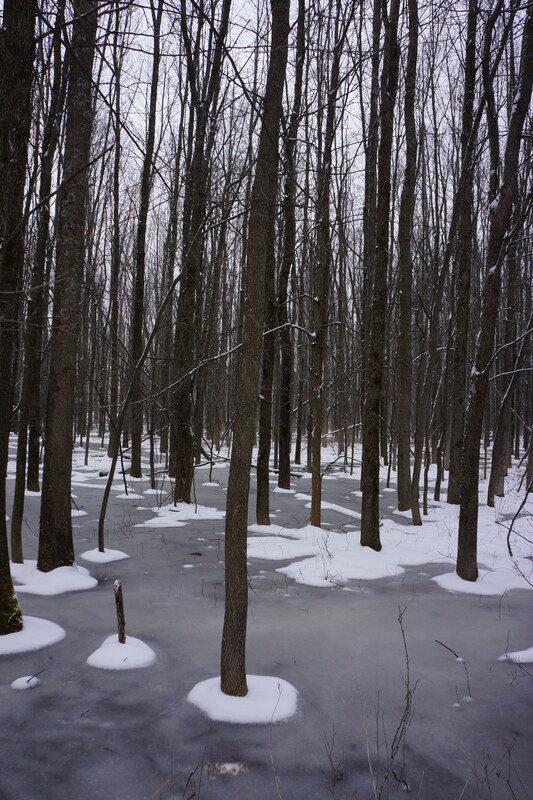 The forest that surrounds the built up areas of the site is unique in Ontario, with very shallow soil resting on shale bedrock that slopes gently toward Georgian Bay. A unique coastal fen habitat exists 100-150m from the shoreline with the forest of ash, maple, willow and cedar surrounding an oval shaped plateau of agricultural tablelands in the higher elevations of the site. 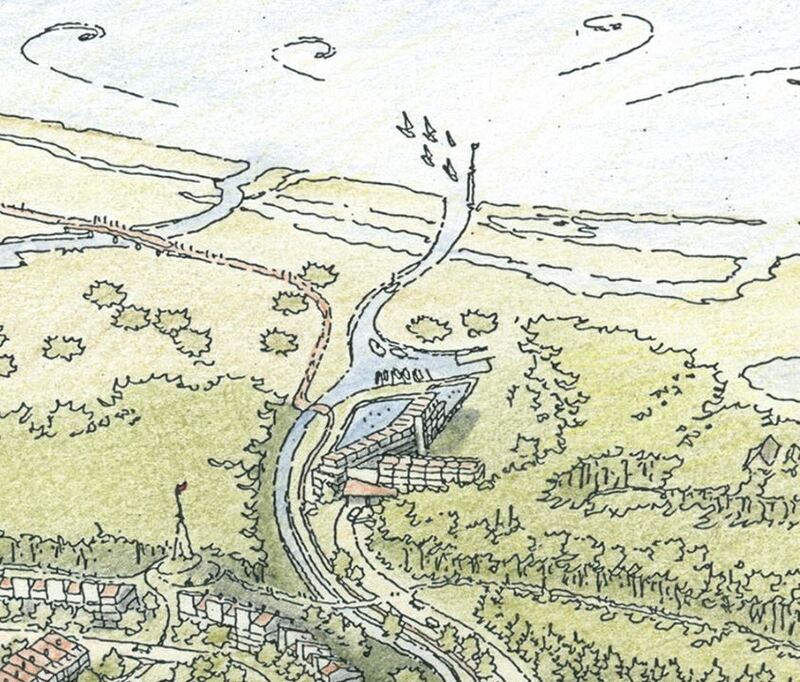 A pond was conceived to create a community focal point, with a channel and waterside paths linking it to the waterfront. 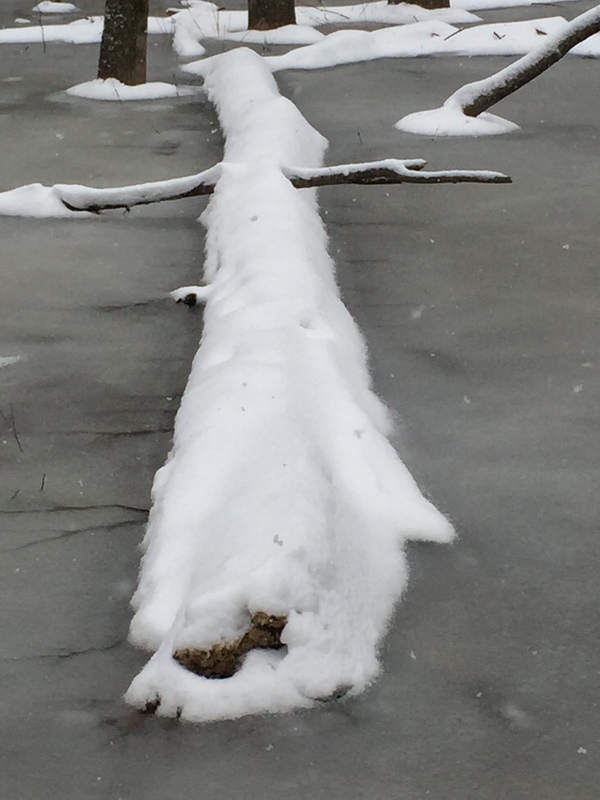 The channel allows the forest preserve, which is flooded during the spring melt, to drain into the lake. 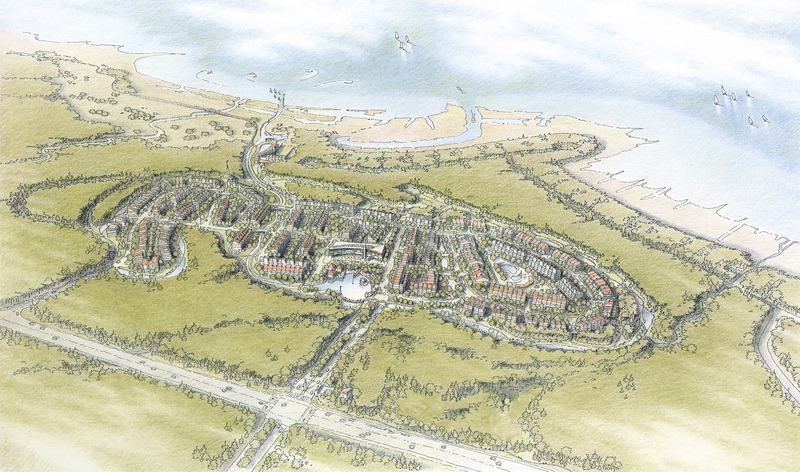 The Florida community of Seaside provided much of the initial inspiration for our design. 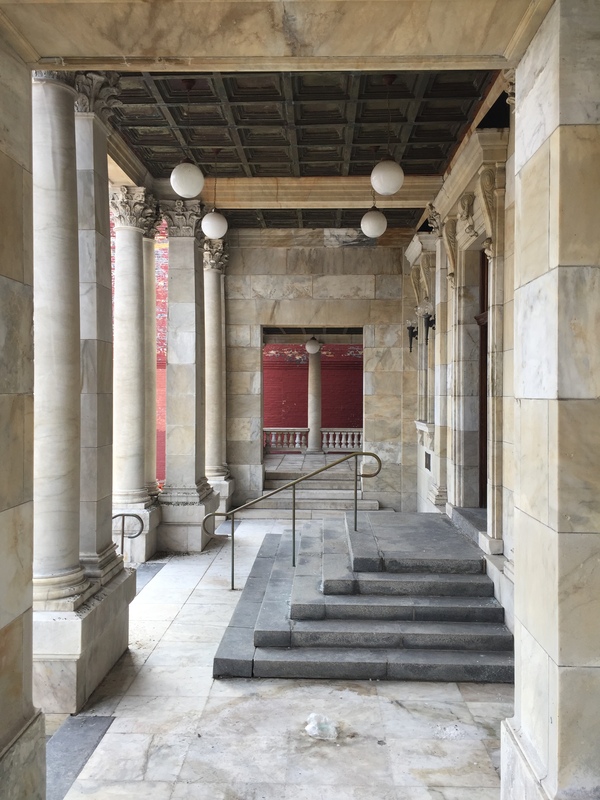 One of Seaside’s most impressive features is the incorporation of local building typologies, urban spaces and streetscapes as well as native vegetation into the project. Typical street condition with native vegetation in Seaside. In our design we also looked to Wychwood Park for inspiration. This neighborhood enclave was created in the late nineteenth century as an artist colony in the city of Toronto. The homes in Wychwood Park are located around a common naturalized central park. The community is a successful early adoption of “garden city principles” that sought to reintroduce nature to the city. The central feature of the landscape is the common park with oak trees and wildflower meadows. 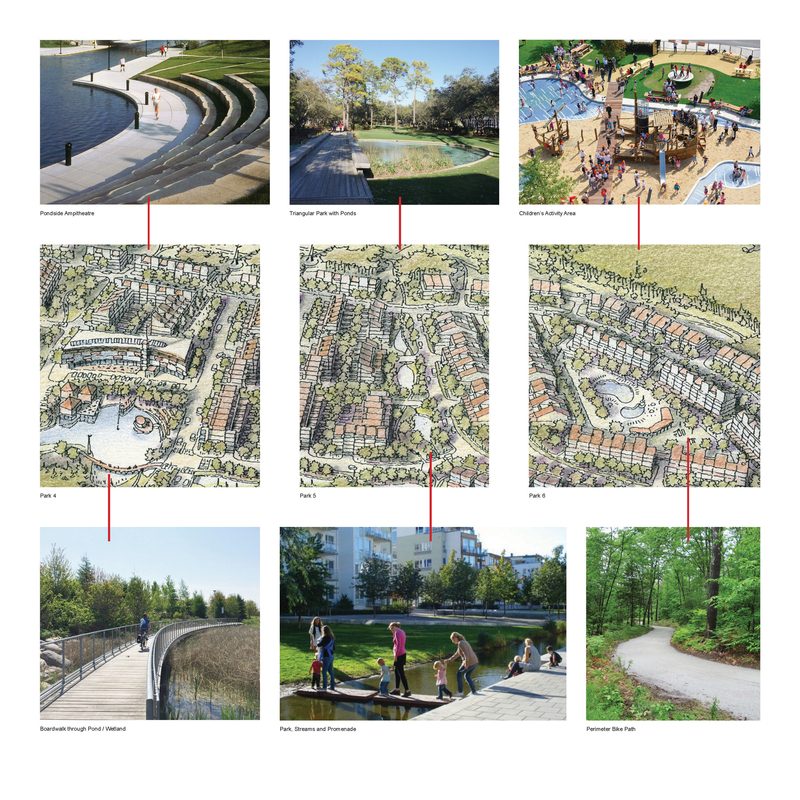 The park also incorporates a stream and ponds within the existing ravine to create a ribbon of greenery that unites the Wychwood community. A century later, this reconstructed landscape looks natural, with homes nestled into the sloped properties that line the perimeter of the park. 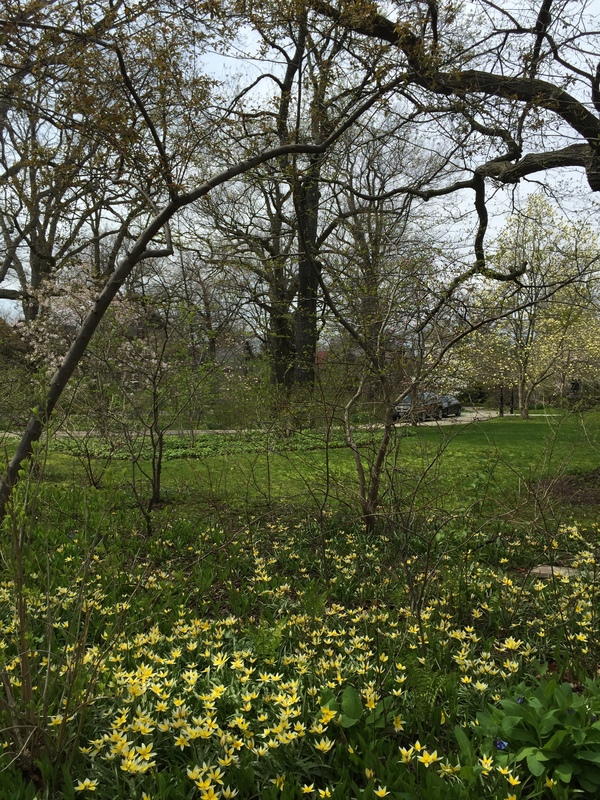 This local example was the inspiration for the 5 “green fingers” (a series of parks which serve as natural connections through the residential areas of Bridgewater). With the increased density mandated by the guidelines for “Smart Growth” (in this case 55 units per acre) the scale and composition of the various housing types, are designed so that each street has its own character, with landscaped parks located within these neighborhoods providing connections to nature at all time. These parkettes are essential to ensure that the town would be experienced as an enclave located within the forest. Six small neighborhoods are separated by the “green finger” parkettes. The triangular geometry of the green fingers creates two important site plan conditions. First, “the view” enjoyed by each resident features a diagonal perspective of the opposite row of homes, allowing for significantly more privacy. Second, the fingers create garden pathways between the two outer edges of the developed area. Bike and pedestrian paths connect through these parkettes to a perimeter bike path and walkway that encircles the entire development. This ensures that home owners are always minutes away from nature. Water courses, ponds and waterfalls are located in the parks to give each a unique character. These spaces are designed to appear naturalized with wildflower meadows replacing the typical manicured lawns of city parks. The only exception being, the “village centre” where the landscaping is slightly more urban and manicured. 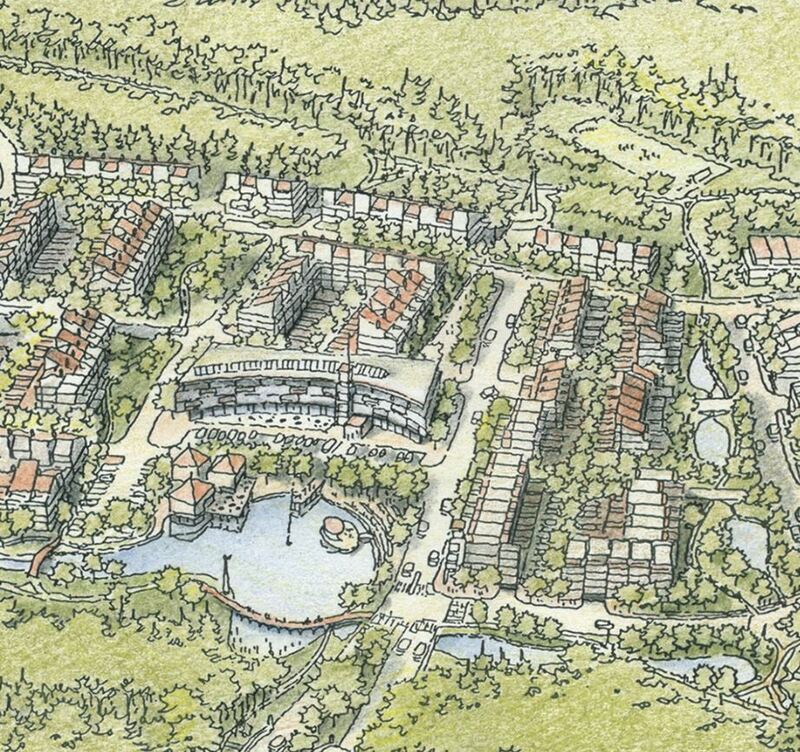 The focal point of the community is the “village centre” with a pond, framed on three sides by shops and services. This local hub is within walking distance of the six neighborhoods. This area also welcomes those entering from the main access boulevard and is the community’s public gathering place. The uses we envision for this commercial core cater to the needs of the local community, while also welcoming tourists and Collingwood residents. Plentiful seating for the restaurants and bars on the large sidewalk patios, allow patrons to view the pond and the activities of the town throughout the day and into the evening. A signature restaurant and waterside patio extends over the water at the western shore of the pond while its fourth edge, the southern flank of the open space, is enclosed by the mature trees of the forest preserve. The pond, which has a terraced stone shoreline and amphitheater along its northern shore is naturalized along its southern flank. A small wetland, bisected by a boardwalk and bike path, is a softer, natural edge along this shoreline. The 800m Georgian Bay shoreline remains untouched in our proposal, with the exception of a boardwalk, (that allows for the exploration of the coastal fen landscape) and a shallow boat channel. Bridgewater’s residents share the waterfront club house with its pools and sun decks with a boutique hotel and marina. 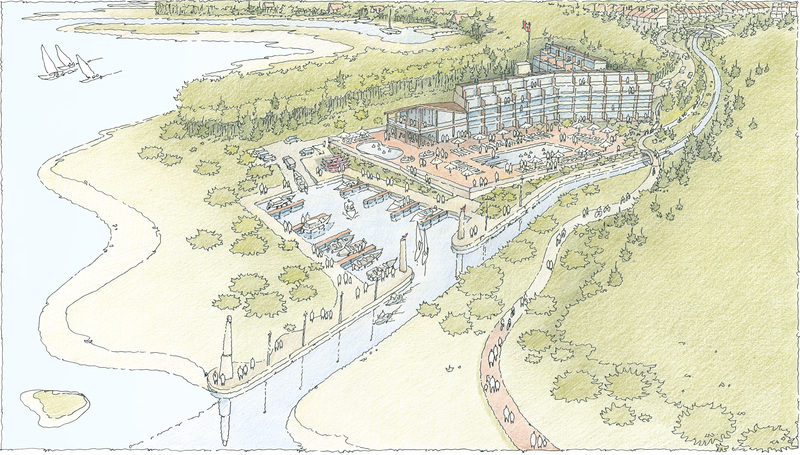 A public waterfront restaurant is planned within the hotel to ensure that everyone can experience this unique part of Georgian Bay. Building upon the lessons learned from other New Urbanist communities, I am hopeful that our development will create a counterpoint to urban sprawl. Our long term goal is that this community will be self-sustaining, and that much of the day-to-day activities of its citizens will remain within the community. This would result in reducing vehicular use in favour of walking and cycling. It is also our hope that the strategy our team deployed, to preserve the provincially significant natural areas of the site, will be used as a template for future development within the region.